Surprising Science for Kids: MAGNETS!, Electricity & Magnetism: Educational Innovations, Inc.
Home/Shop by Subject/Electricity & Magnetism/Surprising Science for Kids: MAGNETS! Our exclusive kit includes everything your young scientist needs for hours of hands-on investigative learning. We think you'll agree that our Surprising Science for Kids: MAGNETS bundle is an exceptional value. a bright assortment of colored pipe cleaners. I bought this kit for my daughter's class (2nd grade) magnet experiments. All the kids absolutely loved it! Magnets are so colorful and easy to use. 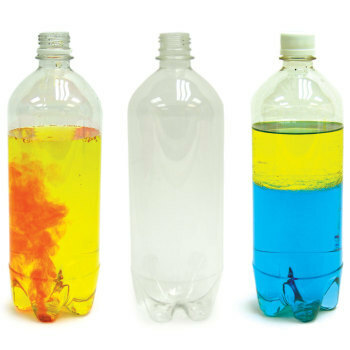 The kit comes with instructions and ideas for different fun experiments. I would recommend this product. Students can use the Surprising Science for Kids: MAGNETS Kit to investigate and analyze data obtained from testing different materials to determine which materials have properties that are best suited for an intended purpose. 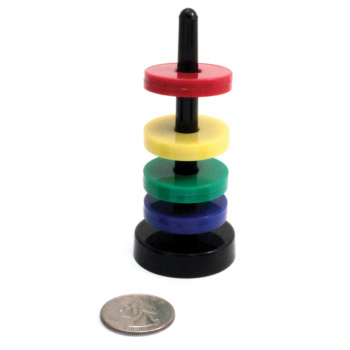 Students can use the Surprising Science for Kids: Magnets Kit to plan and conduct an investigation to compare the effects of different strengths or different directions of pushes and pulls on the motion of an object. Students can use the Surprising Science for Kids: MAGNETS Kit define a simple design problem that can be solved by applying scientific ideas about magnets. Students can do an activity with the Iron Filings with Surprising Science for Kids: Magnets Kit to analyze and interpret data from maps to describe patterns of Earth's features. 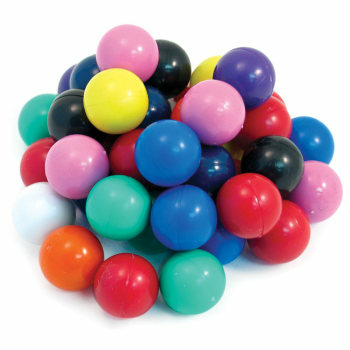 Students can use the Surprising Science for Kids: Magnets Kit for investigations to make observations and measurements to identify materials based on their properties. Students can use the Surprising Science for Kids: Magnets Kit to plan and carry out fair tests in which variables are controlled and failure points are considered and identifies aspects of a model or prototype that can be improved. Students can use the Surprising Science for Kids: Magnets Kit to gather and make sense of information during an investigation. Students can use the Surprising Science for Kids: Magnets Kit to ask questions about data to determine the factors that affect the strength of magnetic forces. Students can use the Surprising Science for Kids: Magnets Kit to conduct an investigation and evaluate the experimental design to provide evidence that fields exist between objects exerting forces on each other even though the objects are not in contact. 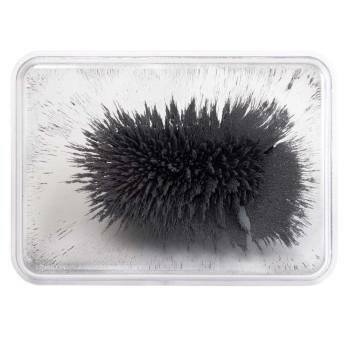 Students can do an activity with the Sealed Iron Filings with the Surprising Science for Kids: Magnets Kit to construct an explanation based on evidence for how geoscience's processes have changed Earth's surface at varying time and spatial scales. Students can use the Magnetic Wand in the design of a device that works with given constraints to convert one form of energy into another form of energy. The Surprising Science for Kids: Magnets Kit can be used to develop and model how two objects interacting through magnetic fields, illustrates the forces between objects and the changes in energy of the objects due to the interaction. 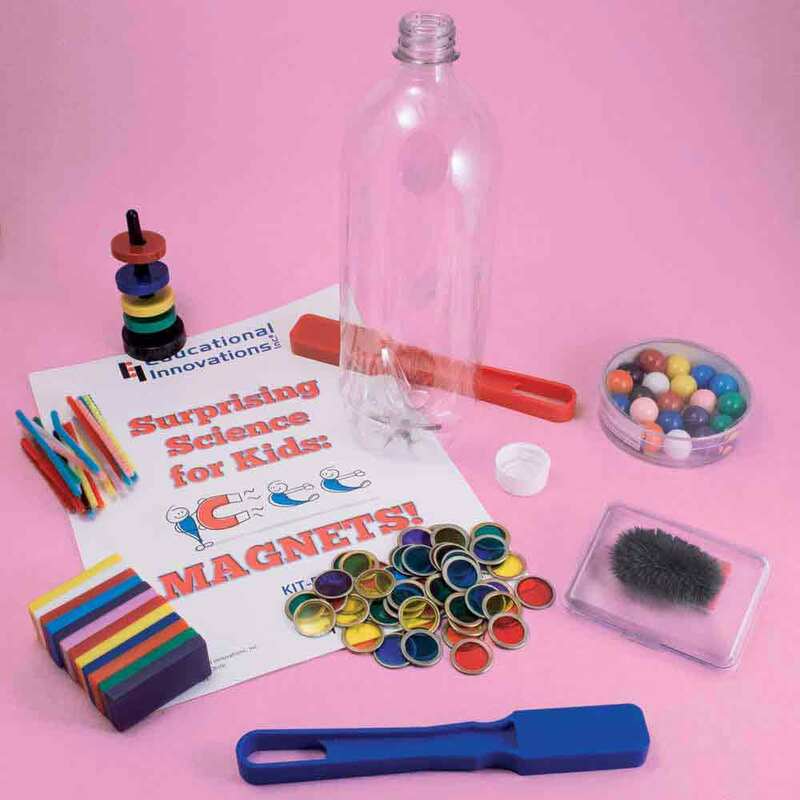 The Surprising Science for Kids: Magnets Kit includes a comprehensive instruction booklet that provides activities, data charts, scientific explanations and endless combinations to cover many science standards. Students can use the Surprising Science for Kids: Magnets Kit to Develop a model to describe a phenomenon. Include careful determine the polarity of all the different types of magnets. Students can use the magnets to test which materials are attracted to a magnet. Students can use the Magnets in the design of a device such as a Rube Goldberg machine.